A&A Shrewsbury Computer Repair offers fast, low cost computer repair because we are both qualified and highly experienced. 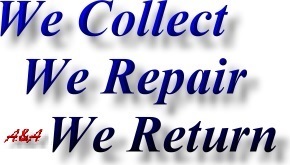 Please note that we are based in wellington, but regularly repair computers in and around Shrewsbury. 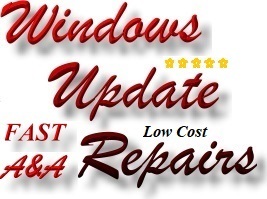 We offer first class Shrewsbury computer repair and 1st class Shrewsbury computer support at low cost. 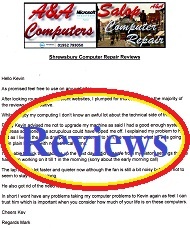 We offer Shrewsbury Laptop Repair, Shrewsbury PC Repair, Shrewsbury Computer Virus Removal and Shrewsbury Reinstallations. 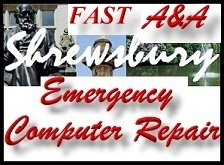 A&A Shrewsbury Computer Repair are thorough. 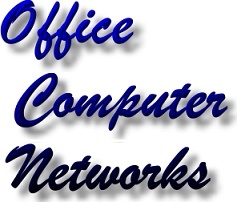 Most work on PC, Laptop, Notebook and Netbook computers and small business computer issues is undertaken in-house. This ensures thatn we have the correct resources to hand and we can thoroughly soak test systems. Answer; (for laptop, desktop & tower computers); hard drive clone to a new hard disk drive or to a Solid State Drive (SSD). A&A Shrewsbury Computer Repair can usually clone the complete contents of a hard drive to a new drive (even if the new drive is smaller than the original - but there must be enough space for the original content). 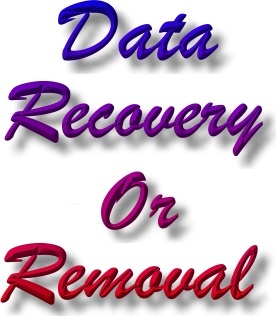 This means that the customer does not lose data, email addresses etc.